After a decade active in local politics, often helping campaigns as a volunteer or campaign manager, Joe Ciardullo of New City is now throwing his own hat in the ring. He’s going far up the food chain in his first-ever run for office. Ciardullo is taking on Congresswoman Nita Lowey, who has been entrenched in her position since the 1980s. The longtime Republican Ciardullo will not enjoy the votes that come along as a given on a major party line. Ciardullo has re-registered under the upstart Reform Party, which is now led by radio personality and Guardian Angels founder Curtis Sliwa. Lowey did not face an opponent in 2016. In 2014, current Orangetown Supervisor Chris Day gave her a strong challenge. Ciardullo retains a base of Republican support even though his name will not appear on the Republican line. Some Republicans have expressed disappointment that the party did not express greater interest in Ciardullo’s candidacy. Longtime Republican activist and former Congressional candidate in his own right, Anthony Mele, was one of the main figures who fought for the ouster of the former Rockland GOP establishment led by Vinny Reda and Frank Sparaco. He told the Rockland County Times that the new GOP needs to do better than to let lifetime politicians like Nita Lowey run unopposed. 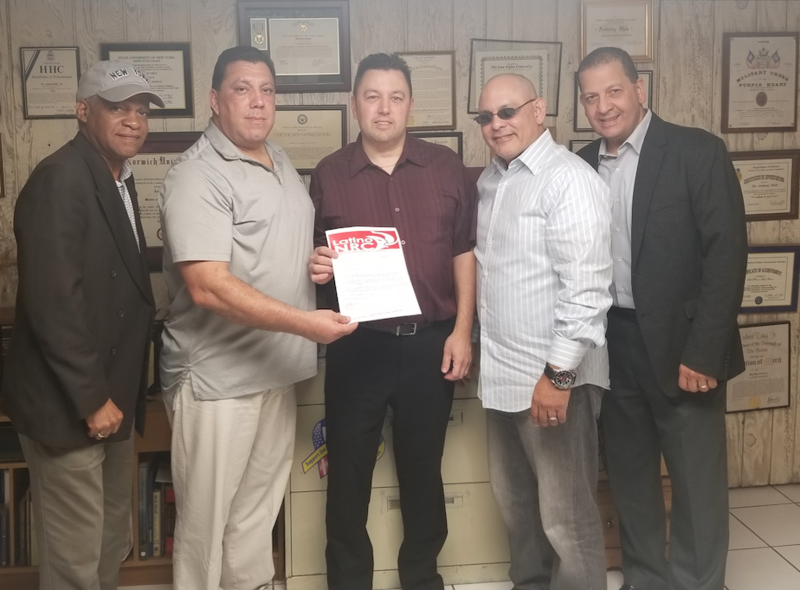 Mele’s Latino National Republican Coalition is giving Ciardullo their endorsement and helping him ignite his campaign. Ciardullo said he is running a non-partisan campaign aimed at holding the government accountable. He frames his campaign as the “Average Joe” running for Congress vs. the Washington elites. But what if he wins? Will he become one of those “elites” once he has a job? Ciardullo said he’s taking precautions against such a predicament. Sliwa visited Congers recently to boost Ciardullo’s campaign. Ciardullo shares with Sliwa a demand for term limits and a warpath vs. entrenched interests and corruption. During an interview between the Rockland County Times and Ciardullo last weekend, he challenged Nita Lowey to a debate. Name the time and place, he said. The Rockland County Times thinks a debate would be fantastic and wholly endorses the idea of several debates between the two candidates. Sliwa’s movement has been surprisingly impressive. He appears set on shaking things up in a positive way and Ciardullo is an ideal candidate to join on board the Sliwa movement. The Rockland County Times endorses Ciardullo’s candidacy. Let’s see where this campaign can take the public conversation and how much traction a third party candidate like Ciardullo can get. At the very least we want to see a contest in this Congressional campaign! Our democratic institutions work better when incumbent politicians are challenged and forced to defend their record.